Do not forget to gift your Dog this Diwali! Dog is not only a lovable pet but becomes a member of the family. So, do not forget to gift your favorite adorable Dog this Diwali! We have a special line of gifts that are especially developed for your Dog. Our Diwali Gifts for dogs are innovative and have utilitarian value attached with all of them. 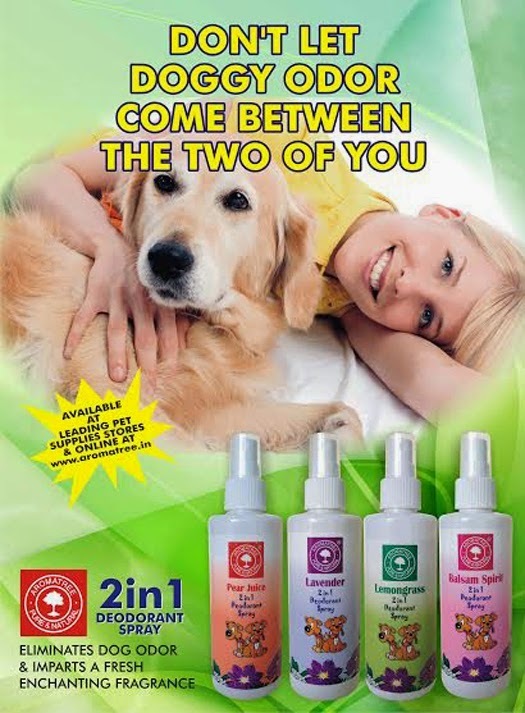 Aromatree's Diwali Gifts for Dogs include 2 in 1 Deodorant Spray, Coat Conditioners and Dry Bath Conditioners.